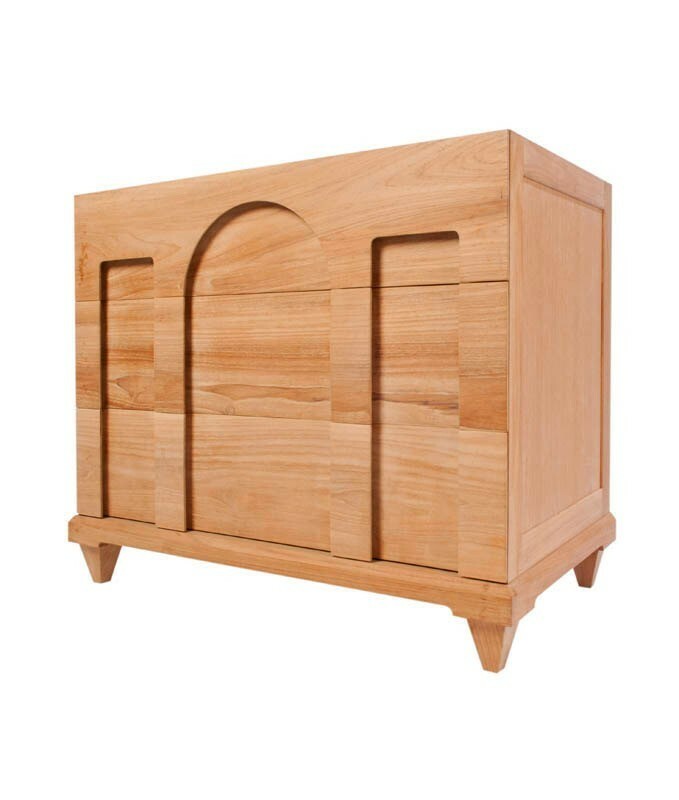 This handsome solid teak wood commode by Donghia features three spacious drawers on metal glides. 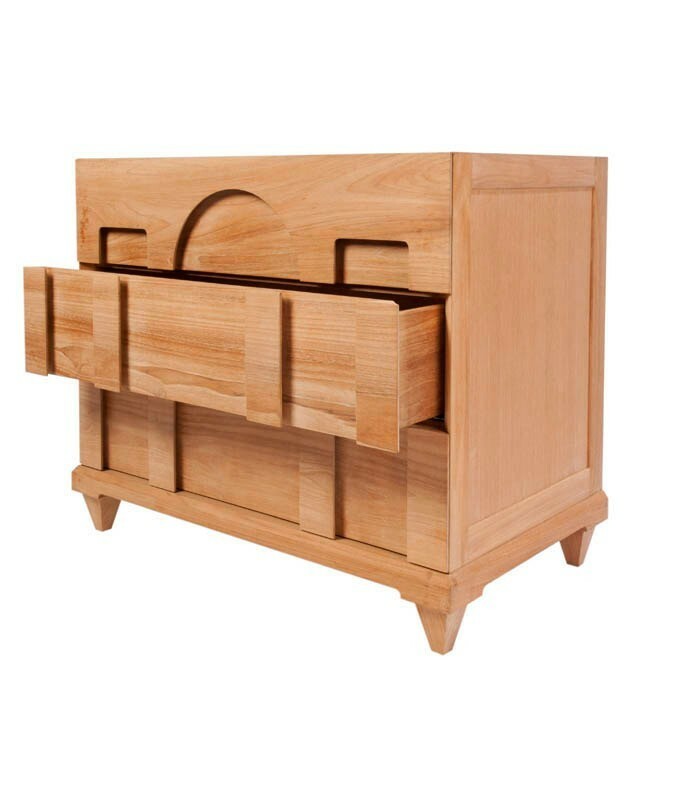 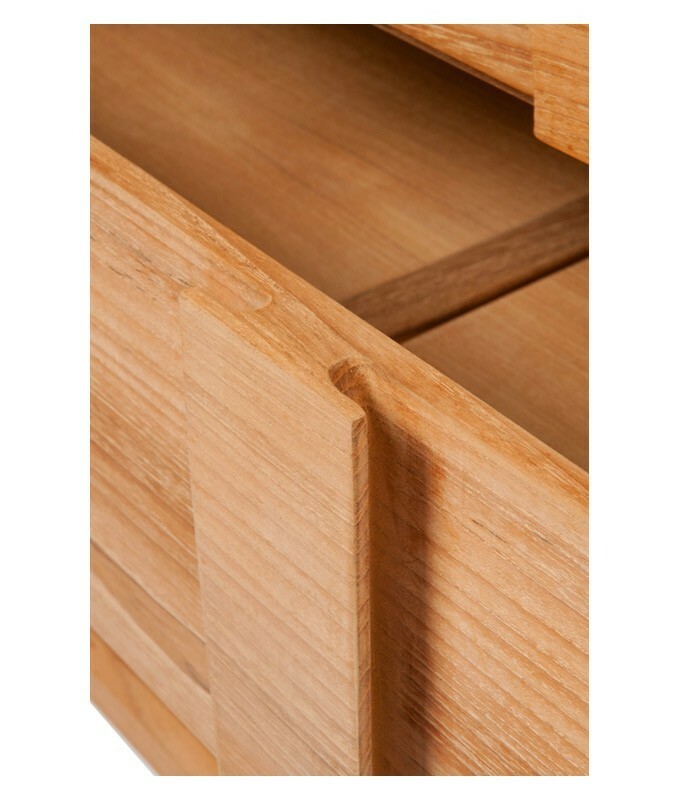 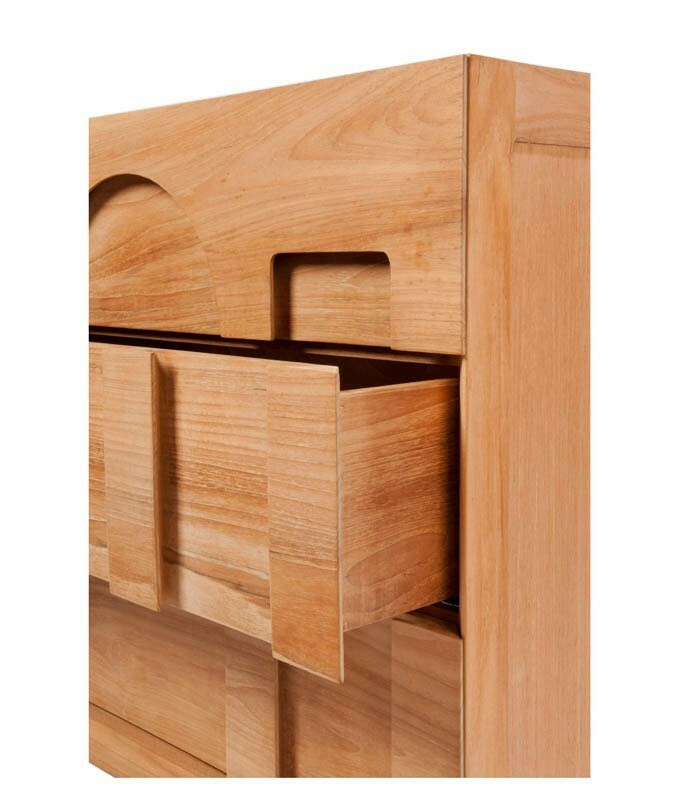 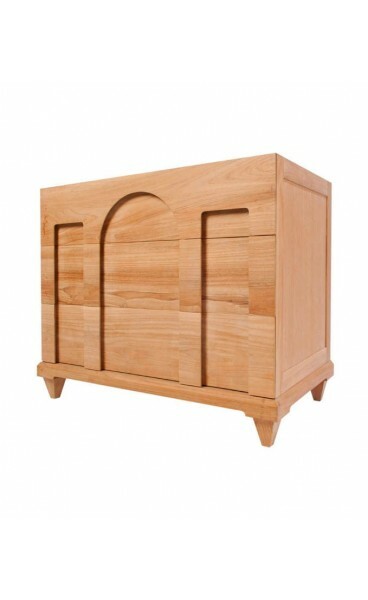 The drawer fronts are artfully carved in a simple Palladian design serving as handles. 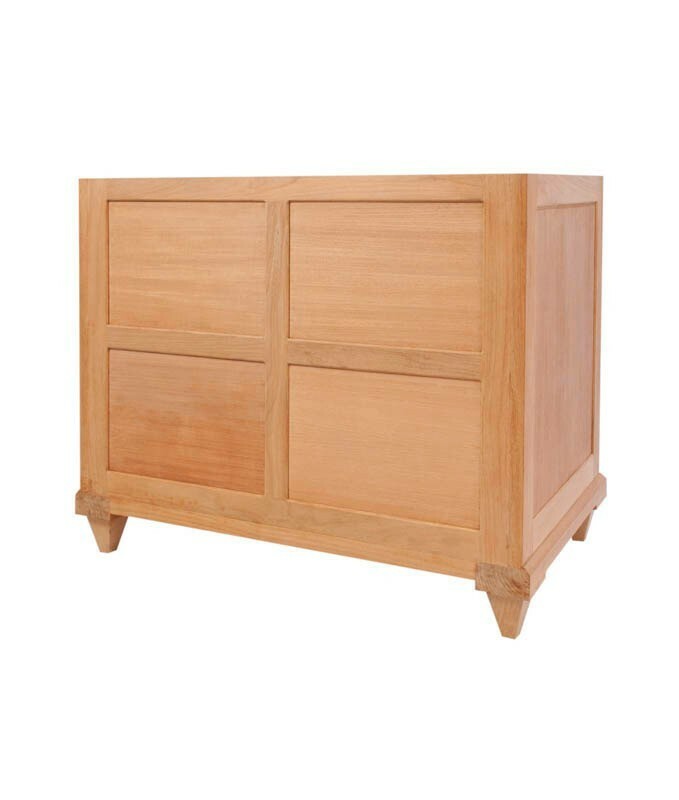 Stone top is available upon request for an upcharge. 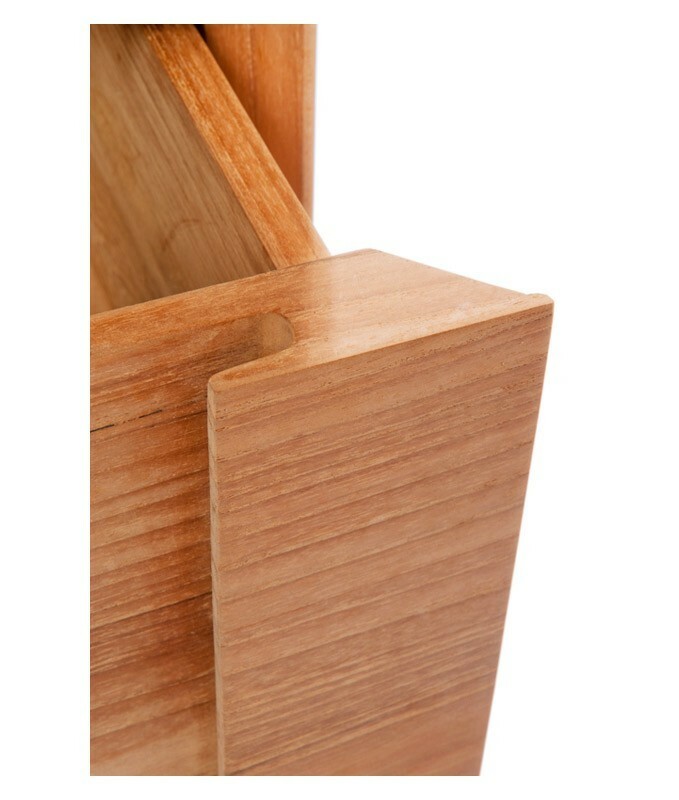 Finish is a satin oil suitable for indoor use only.